Fill a 4 quart pitcher with the water, almost to the top, leaving 2 inches of space for other ingredients and stirring. Add lemon juice and stevia. 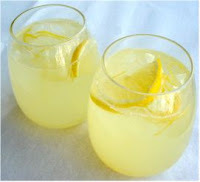 Serve cold, over ice, with a slice of lemon and hit the beach!